Our experienced painters and decorators in Colchester, Essex, share some of their top tips for a bigger-looking bathroom. The bathroom should be light, airy, and fresh, and one way to do that is to embrace white-on-white. 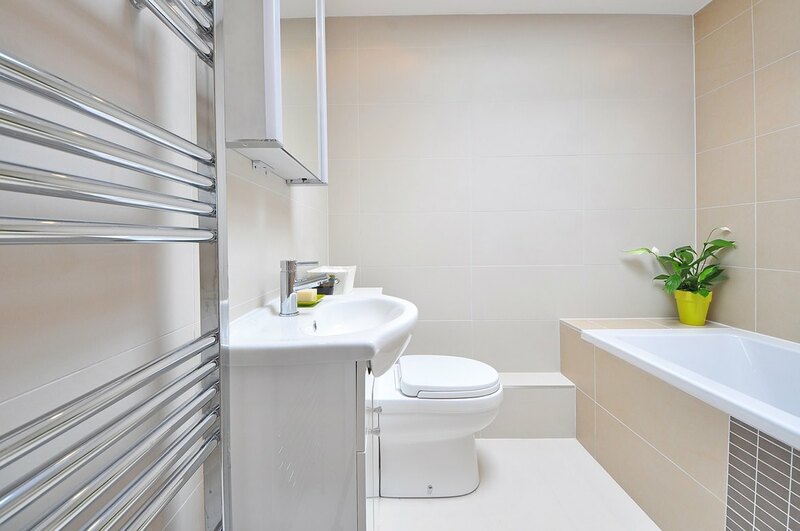 However, don't be mistaken to think that white-on-white means a dull, boring bathroom. Match your white bathtub, sink, and toilet with equally bright white tiles in varying textures to create a space that is both contemporary and bigger-looking. For instance, you can add textured mosaic splashbacks by the sink and bathtub and decorate your room with simple but effective white furnishings such as a white woven floor mat, white bath mat, white-framed mirror, and white ceramics such as soap dishes and toothbrush pots for a seamless finish. Large tiles make a room look bigger, as opposed to small tiles which can make a room feel small and busy – that’s a fact. 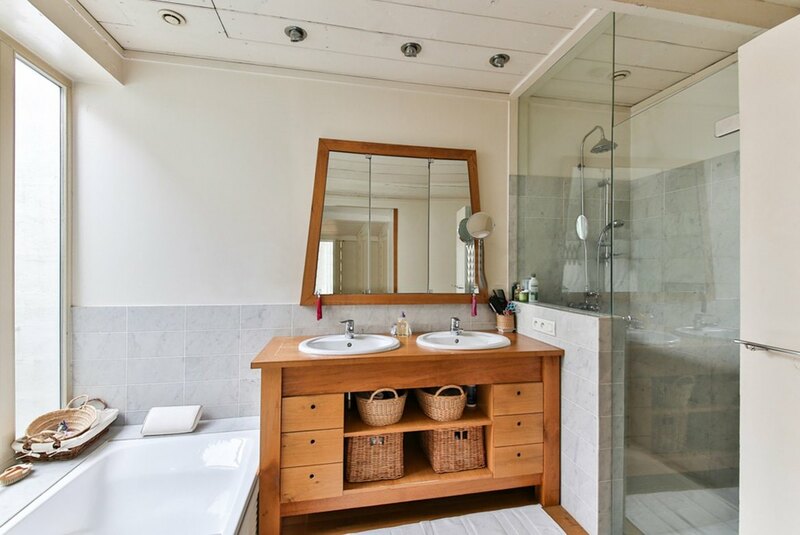 In which case, always try and use large format tiles in your bathroom providing the space is of a reasonable size already – if your bathroom isn't much bigger than yours downstairs toilet, for instance, choose tiles that are in-keeping with the room's size. When selecting your tiles, choose white or other bright, neutral tones to give your room a contemporary, spacious appeal. Often, bulky bathroom cabinets can take up heaps of space and make a room seem one-dimensional and, in simple terms, flat. By adding a 'floating' sink unit and storage to your bathroom, you'll add another dimension to the space that makes the room both look and feel bigger by not blocking your whole view of the room. In almost every room in the home, the addition of glass will benefit the overall aesthetic, and in the bathroom especially, clear glass panels will help to make your space look bigger, whether you have a simple bath screen or a tall glass wall next to your shower area or wet room. Always use glass that is completely clear and clean. 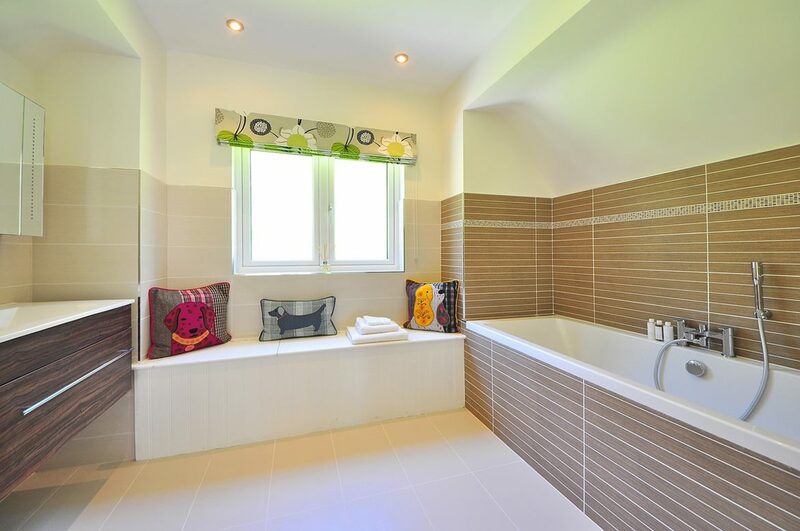 Often, homeowners make the mistake of tiling only a small area of the bathroom – around the bath or shower and nowhere else is a frequented mistake when decorating. However, floor-to-ceiling tiling can make a world of difference to the feel of your bathroom. If possible, use large format tiles to tile the floor and at least two of the walls in your bathroom, leaving at least one wall that can be painted to add another level of texture to the room. Again, always use white or light tiles in neutral tones. Mirrors not only reflect light around the room but they also help to add depth to your room with a simple trick of the eye. Above the sink is the ideal place to add a large mirror, however, if you lack width in your bathroom, take advantage of the room's height and use a floor-to-ceiling mirror instead. Light can transform a room completely so think about your lighting carefully. If possible, use bright white spotlighting – a particularly popular choice for young homeowners looking to create a contemporary space. You can add another level of drama to your room by strategically lighting your wet room or shower area, or even the space above your sink or below your mirror for a modern finish. Support your lighting with a large window that allows natural light flood the room, too. If you're looking to add personality to your bathroom in the form of colour and furnishings, keep details below waist level to ensure you retain a continuous line of vision. For instance, you can add painted cabinets, soft furnishings such as pillows in a window box, and printed bathroom mats – floral or geometric patterns are ideal. Whether you're completely transforming your bathroom or making slight adjustments to your furnishings, there's plenty you can do to create a bigger, brighter bathroom that's a joy to relax in and, come resale, a wow factor for prospective buyers – and the changes won’t cost the world, either. To discuss your bathroom renovation with one of our experienced painters and decorators in Colchester, Essex, please contact us.